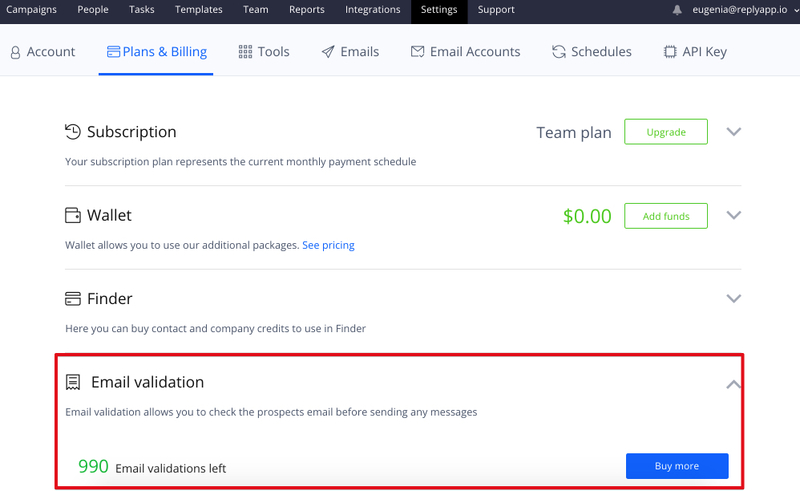 Lacking validation credits for maximizing your campaigns delivery rate? Seek no more, you can always buy them here. In the confirmation dialogue window, click Confirm. 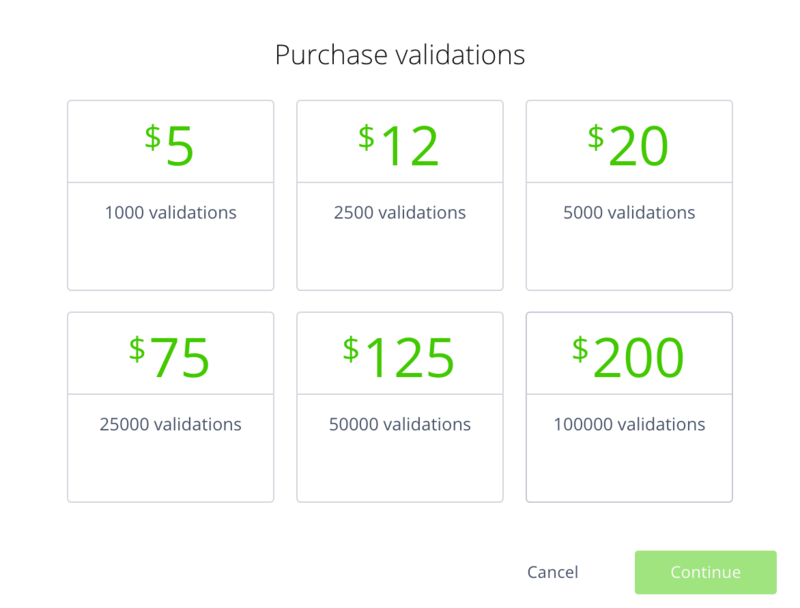 Now you see how many validations are left on your account.